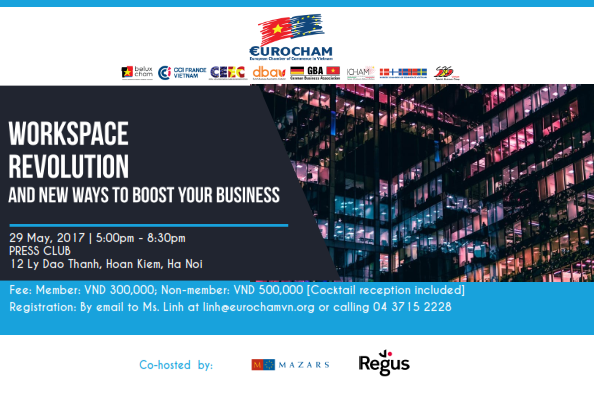 On May 29th, 2017, Mazars together with Eurocham and Regus is pleased to bring you the event discussing innovative management: How to boost your business with workspace revolution, company culture and tax compliance. Join us in a discussion about new approaches to managing and boosting the success of companies and businesses. 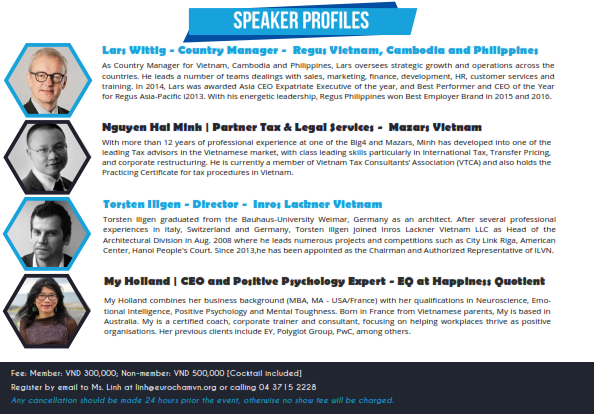 For Managers, HR Managers, Accounting and other interested business professionals. Workspace Revolution: New Ways to Boost Your Business is an exclusive session, led by a group of top experts in new and cutting-edge management approaches. Any cancellation should be made 24 hours prior the event, otherwise no show fee will be charged.